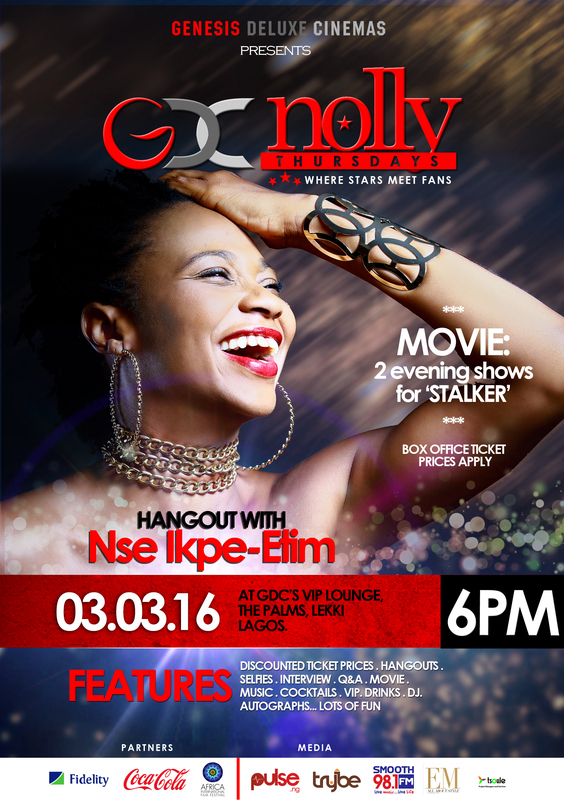 It’s the third edition of Nolly Thursdays and if you have any knowledge of the industry, you would know that the star attraction for this week is none other than one of Nollywood’s most talented actors Nse Ikpe-Etim. Nse has quite a filmography under her belt and has marveled fans with strong characters constantly, so I count it a good opportunity to hang with the talented star and also watch her latest offering ‘Stalker’. For those of you who may not know yet, Nolly Thursdays is an initiative of the Africa International Film Festival and Genesis Deluxe Cinemas. The Industry night is designed to be a fun opportunity for Nollywood stakeholders and fans to interact while celebrating Nollywood films, actors and filmmakers. With two successful outings, the third edition seems prepared to up the ante by bringing to the house Nse Ikpe-Etim, Caroline Danjuma and funnyman AY Makun. The feature movie ‘Stalker’ is about Kaylah Lawal (played by Nse), a highly successful fashion stylist, who is about to be captured by head hunters on a cold, dark night, before their plans are thwarted by Michael, an executive cab driver who shows up in the nick of time and saves her life. As an expression of gratitude she invites him over to her house for a good breakfast. He eats, he leaves… but in the days to come, he seems to be showing up everywhere she goes. It sure seems like ‘Stalker’ will be an interesting thriller, I for one would like to see how the story plays out. So make it a date this Thursday, March 3, 2016 at 6pm.